We are an independent family business and from our base in South Shropshire we cover the counties of Shropshire, Worcestershire, Herefordshire, Gloucestershire, Warwickshire, Cheshire, West Midlands, Staffordshire, West Wales. With 25 years of experience in the electrical contracting industry our commitment to our customers is proven by our wide portfolio of electrical installations. Our experience in the electrical contracting industry also means that for those looking into generating their own solar electricity using Solar PV technology, we are professionally well placed to be Solar PV Installers. We offer our customers a complete in-house service for all our Electrical and Solar PV installations. This means minimum inconvenience along with the full assurance that your installation will be completed to the highest standards throughout. We are first and foremost a professional installations company that gives our customers a high standard of service with no hard sell, obligation free quotes and fully guaranteed work. 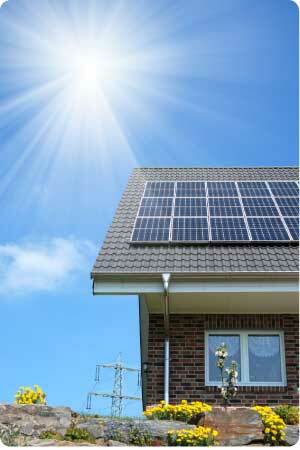 Solar Photovoltaic or Solar PV technology can be used to generate electricity for home and commercial use. With price increases on electricity bills and the need to reduce our carbon footprint, people are becoming more interested in the advantages of using Solar PV technology. In addition to these benefits, Government backed incentives are available to householders and businesses that generate their own solar electricity. Your Solar PV installation can earn you a tax free income, known as the Feed In Tariff (FIT), which is guaranteed for 25 years. We are MCS Accredited Installers and members of the Renewable Energy Assurance Limited (REAL) Scheme. If you are considering a Solar PV Installation, there are many benefits for customers using companies recognised as Solar PV Installers with these organisations. Our extensive industry history means we have the full professional backing of the NICEIC (National Inspection Council for Electrical Installation Contracting). 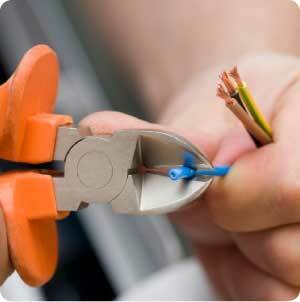 We are also approved by the Government endorsed consumer protection and advice scheme Trustmark. - Electrical and Solar PV Installers. we welcome and initial queries or questions you may have. 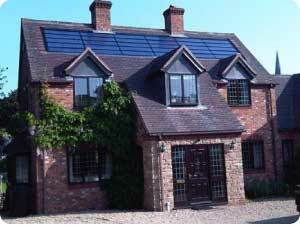 Professional electrical and Solar PV Installations.